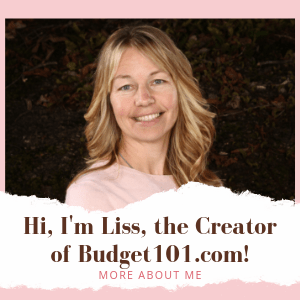 You’re on board to creating and following a budget, but now it’s time to take it one step further; It’s time to include the rest of the family in the financial picture. . . here’s why! Many people are against involving their children in financial discussions, for numerous reasons. They don’t want their children to worry about money. They feel their finances are private. I disagree. While you don’t need to disclose the actual dollar amounts of your bills to your children, I feel it is important for them to have an understanding of how the real world works. They need to understand that leaving lights on raises the utility bill, or that making payments late makes them more expensive through fees and interest rates. Rather than waiting until your children grow up and make their own serious money blunders, why not start them out with good financial habits. Once a month hold a family finances meeting. Have a little fun with it, create a “boardroom” style atmosphere if you like, or pop some popcorn and give everyone a piece of paper to jot down ways they can save money, or to add to their own goals. Which bills are coming in? What payments need to go out? Did your family meet last month’s budget? If not, why not? Did someone leave the sprinklers on all night and your water bill shot through the roof? If you neglect to hold yourself accountable and openly discuss what is happening with your finances, you will continue to stay in debt. What I have learned from holding family finance meetings is that my children, now ages 9 and 12, are less likely to ask for a frivolous item, and are more focused on saving money. They understand that it takes an entire family working together to get ahead and although they are still just kids, they are learning sound financial basics that they can use for the rest of their lives.